Android phones with Ambient Display are nothing new, but it’s taken a really long time to perfect them. Google finally did that with the Pixel 2, provided you’re willing to make a few tweaks. Here’s how to make it work for you. 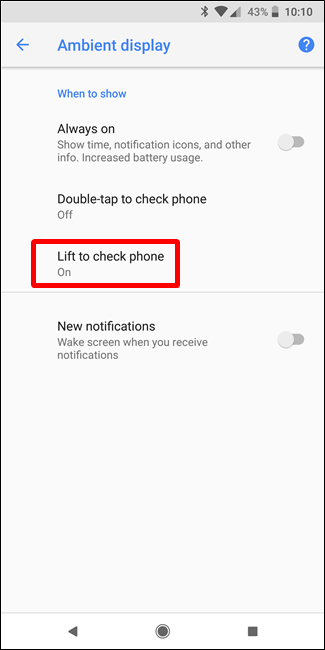 RELATED: Why Does My Android Phone’s Screen Turn On Randomly? 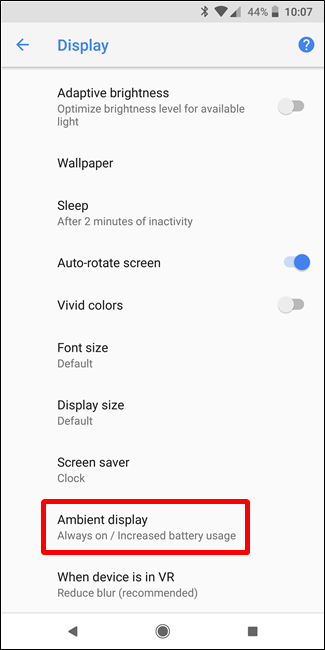 Android’s Ambient Display is a way for you to see your notifications without actually having to turn your phone’s display on. It is a simple black and white screen used for quick at-a-glance access to what’s happening. The idea here isn’t new—Motorola actually rolled out the first version of this on the 2013 Moto X (when it was owned by Google). It was called “Moto Display”, but it was the precursor to the Ambient Display now built into stock Android. Ambient Display works best on phones with some sort of OLED panel, because OLED displays have the ability to turn specific pixels on or off, rather than the whole screen having to be on or off. This allows Ambient Display to only activating a few pixels for the clock and notifications while keeping the rest off, keeping it ultra efficient on the battery. Of course, not all phones had OLED displays—in fact, Google’s own Nexus phones didn’t, so it felt like a weird inclusion. In addition, Ambient Display used to only work when a new notification came in or you picked the phone up. It would detect movement, then activate the ambient display. I hated that. 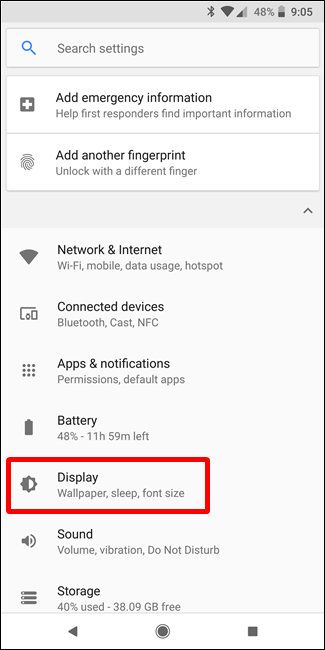 With the Pixel 2, however, Google did something great: they made an option to leave the Ambient Display on all the time, not unlike a smartwatch’s always-on display. 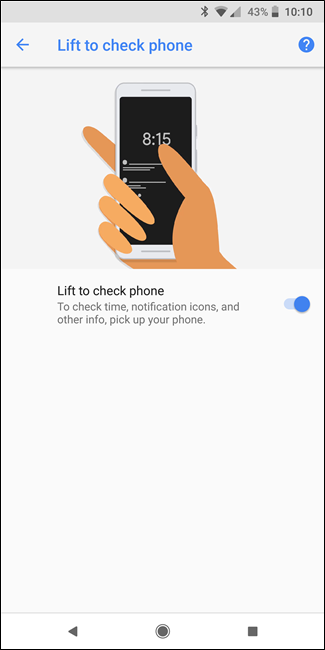 They also redesigned it for Oreo, making it a bit more minimal and efficient—where it used to be a black and white version of the lock screen, it’s now its own, much cleaner layout. Thankfully, that’s just an option, so you can tweak it—and other preferences—to fit your needs. 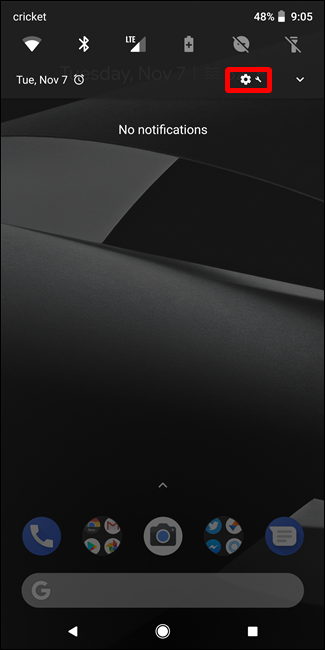 To customize Ambient Display, give the notification bar a tug and tap the gear icon. From there, tap on the Display menu entry. Tap on Advanced, then scroll all the way to the bottom. Tap on Ambient Display. This menu is simple, but it packs a punch when it comes to tweaking the Ambient Display. 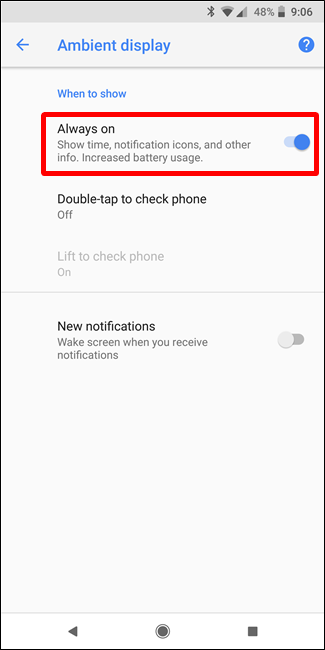 First, if you hate the always-on thing, you can disable it with the first toggle. I personally find this to be my favorite thing about the Ambient Display, but to each their own. You do you, man. 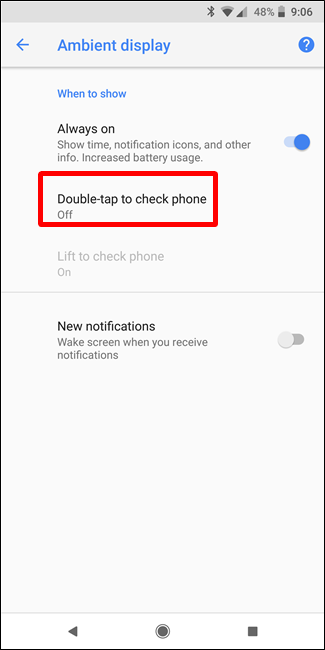 If you like the always-on thing but would like to get more info without having to pick your phone up, go ahead and enable Double-tap To Check Phone. 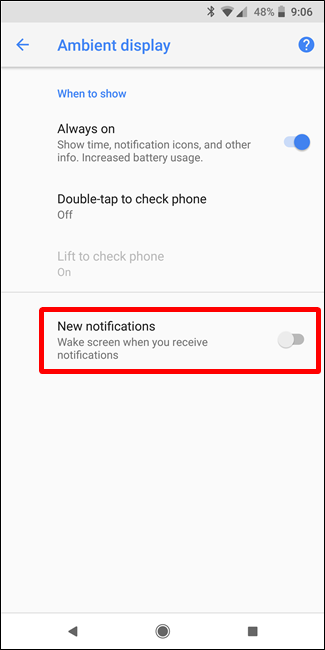 Basically, with this enabled, you can tap the phone’s display twice to wake it up and show your full lock screen. I personally find that this accidentally activates the display fairly often, so I leave it disabled. If you’re not a fan of the Always-On display, you can also go back to the old way where the Ambient Display turns on whenever you pick the phone up. If you have Always-On enabled, this setting is locked to “on,” because you can’t really turn on the display if it’s already on. Again, just like the earlier days of Ambient Display, you can also have the display wake every time a new notification comes in. Since the new Ambient Display is very minimal (only showing icons instead of full notifications), this is a nice way to see full notifications as they come in. Keep in mind, however, that you’re going to see a decrease in battery life with this enabled. It could be minimal, or it could be fairly dramatic if you get a lot of notifications. But wait, there’s more! We may be done in this menu, but there’s one other thing you can tweak if you want: Now Playing. Since we already have a pretty detailed post about Now Playing, I’ll point you to that for the full rundown on what it does and why it’s great. 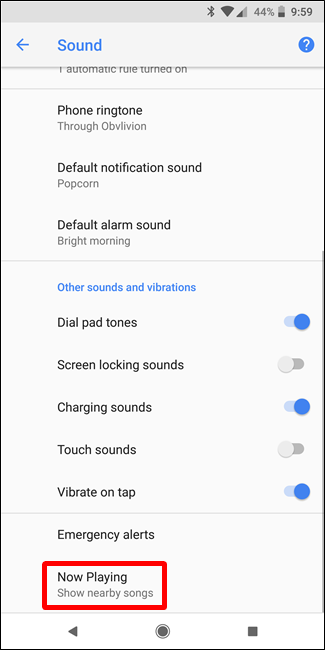 But here’s the long and short of it: the Pixel 2 will listen for and detect any music playing in your environment, and let you know what the current song is by displaying it on the lock screen—and, in turn, on the ambient display. 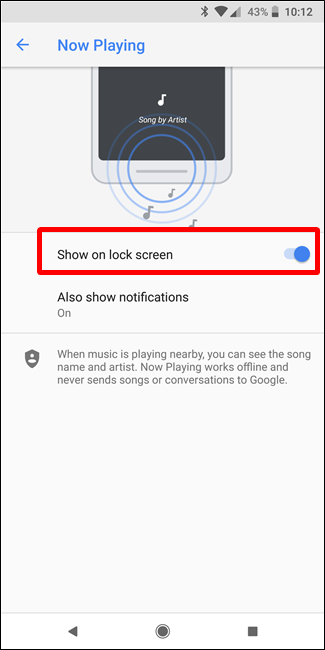 To enable this feature (or disable it, depending on whether you turned it on when you set up your phone), Jump into Settings > Sound > Now Playing and slide the toggle the “Show on lock screen” slider to on or off. I used to hate Ambient Display. 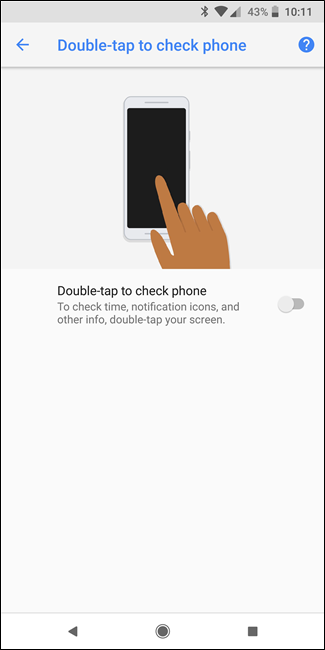 It just didn’t work how I wanted it to—it turned the display on all the time, the “double tap to wake” feature was accidentally triggered all the time, and other small annoyances. 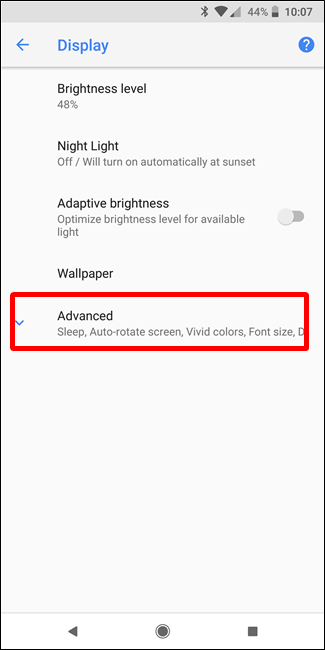 With Always-On Ambient Display on the Pixel 2, though, it’s one of my favorite features. I just wish I could see the battery level without having to turn the display on.